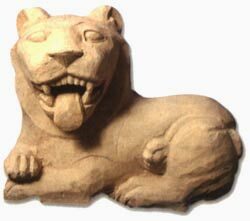 Priceless and fascinating collection of Cypriot antiquities and art treasures from the Neolithic Age to the early Byzantine Period. 17 Ippocratous Street, Laiki Yitonia. 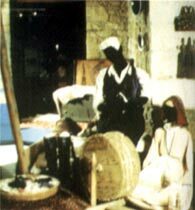 This is the only historical museum of Nicosia and revives the old ways of life in the capital from ancient times up to our days. 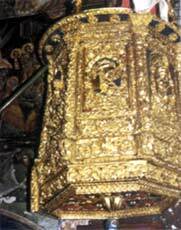 Largest collection of icons on the island, covering the priod from 9th to 18th century. The art Galleries contain oil paintings, maps and lithographs. Wide collection of Cypriot folk art of the 19th and early 20th century, including wood carved objects, tapestry, embroidery, pottery, national costumes and handwoven materials. Documents, photos and other memorabilia of the 1955 - 1959 National Liberation Struggle. Within the Archbishopric, Arch. Kyprianou Square. Built by Archbishop Nikiforos in 1662, the recently restored 18th century wall paintings depict biblical scenes and the discovery of the tomb of Saint Barnabas at Salamis. Dedicated to Ayios Ioannis (Saint John). Centre of the Cyprus Orthodox Church, the new Archbishopric built in a neo-byzantine style in 1960. 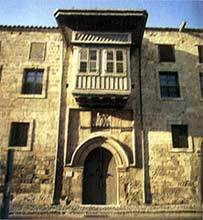 The Old Archibishopric houses the Ethnographic museum of Cyprus. 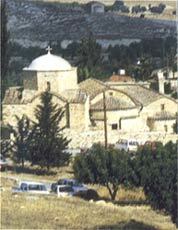 It is the most important 18th century building in Lefkosia which after being restored, won the 1988 Europa Nostra Award. 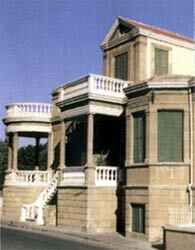 Once the residence of the Dragoman Chatzigeorgakis Kornesios, it now houses the Cyprus Ethnological Museum. Collection of Cyprus stamps from 1800 onwards. These stamps, classified internationally amongst the best, are of significant value in world philately. A display of traditional jewellery from the end of the 19th century including ornaments, religious items, silver utensils and old tools. The Venetian walls, which completely encircle the old city, have a circumference of 4,5 km and possess eleven heart-shaped bastions. There were only three entries to the city through gates in the north, south and east. One of these gates, the Porta Giuliana, called the Famagusta Gate, has been restored and is now the Nicosia Municipal Culture Centre. The large imposing gate itself leads into a long passage with a central cupola, which cuts through the walls and comes out in the moat. On both sides are high, stonewalled guardrooms. The restored passage and rooms are used for exhibitions, conferences, lectures and various performances. The old quarter of the town, close to the Famagusta Gate, is also being rehabilitated. The centre is housed in the building of the old power station which is one of the finest examples of industrial architecture in Cyprus. Its aim is to promote contemporary creativity at its highest level by organising important and prestigious exhibitions. 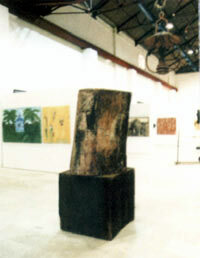 Representative collection of paintings and sculpture by Cypriot artists. Within walking distance from the Archbishopric. 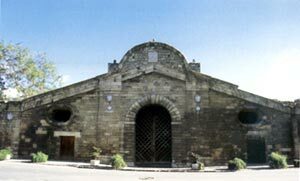 Considered the oldest Byzantine church in Nicosia, it is dedicated to "Our Lady of the Golden Flax" and is believed to have been built in 1450 by Queen Helena Palaeologina. Near the Old Municipal Market within the walled city. Converted into a mosque in 1571 by Mustapha Pasha, who believed that the original 14th century Augustinian church of St. Mary's was built on the spot where prophet Omer rested when visiting Nicosia. Most of the original building was destroyed by Ottoman artillery. The door of the main entrance belongs to the 14th century Lusignan building. Remains of a later Renaissance phase of the building can be seen at the northeastern side of the monument. Onassagorou Street, within the old city. Built in 1872 this used to be the largest church in Nicosia. The marble mausoleum to the east of the church contains the relics of the bishops and priests executed by the Turks in 1821. Solonos 47-49, near Laiki Yitonia. Charming winding alleys with traditional houses and shops, restaurants, galleries, all lovingly restored as typical examples of Cypriot urban architecture of a bygone, more graceful age. An interesting complex of eight workshops nestling around a central courtyard, designed on the basis of a traditional inn. It accommodates units engaged in contemporary applications of traditional crafts. Though officially called a Cathedral, this is the parish church for Anglican residents, and was built in 1893 in a style reminiscent of many English village churches. Built in neon-Classical style , the theatre is used for musical concerts, dance perforamnces and various ceremonies. 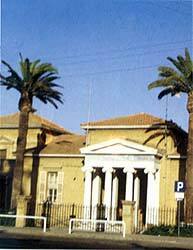 It is also the main venue of the Cyprus Thatre Organisation. Leoforos Athalassas, Tel: (02) 305024. The aim of the government-run centre is to promote and improve traditional folk art and craft skills by helping artisans to improve their techniques and maintain the quality of their products. The Centre includes a showroom-shop with a wide selection of Cyprus handicrafts, and has branches in Laiki Yitonia and in all other towns. 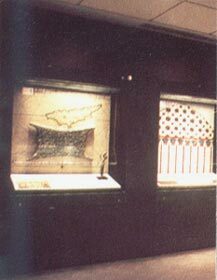 Permanent exhibition presenting the development of coinage of Cyprus from the 6th century BC to the present day. Dedicated to Our Lady of the Golden Cave, the structure is an enlarged natural cave. Unfortunately its painted interior is badly damaged. A religious fair is held near the church on 15 August, a name day of the Virgin Mary. Tamassos, with its rich copper works, was a city kingdom of ancient Cyprus and of great importance throughout early history. Excavations have produced the Royal Tombs and copper workshops associated with the temple of Aphrodite-Astarte. When Saints Paul and Barnabas came to Cyprus, they were guided to Tamassos by Herakleidios, whom they later ordained as Bishop of Tamassos. 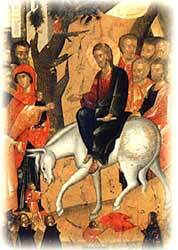 He was martyred at the age of 60 and buried in the cave where he had lived and preached. 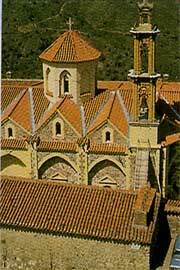 The monastery was founded in 400 AD, destroyed and rebuilt several times until Archbishop Chrysanthos renovated the church and cells in 1773. The relics of the saint are kept in a silver gift case. Organised groups may visit the convent on Mondays, Tuesdays and Thursdays from 09:00'-12:00 hrs. The use of photo and video cameras inside the convent is prohibited. 41 km south of Lefkosia. Founded by two monks in 1148, when an icon of the Virgin Mary was found in a nearby cave. Set in a picturesque dip in the Machairas mountains, it is the scene of a large religious fair on 15 August. 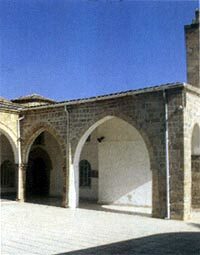 Following a grant by the Anastasios G. Leventis Foundation the vestry of Machairas monastery which is housed in the monastery basement, has been renovated and consists of the original cells of the monks as well as stables and storage areas which were restored specifically for this purpose. The vestry has a room where the Monastery's old books and manuscripts are kept, galleries and rooms containing icons and other rerligous artefacts. The whole village has been declared an ancient monument in order to preserve architecture of the 19th to early 20th century houses. 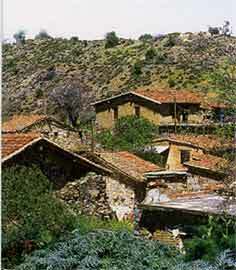 The Houses of Katsinioros and Achilleas Demetri have been restored as vivid examples of rural architecture. They received the Europa Nostra award in 1986. An 18th century monastery with a gabled roof, restored in the early 1960s and now serving as a retreat for nuns. The church dates back to the Byzantine period, with rebuilding carried out in 1963 and in 1713 when it was purchased by Kykko Monastery. 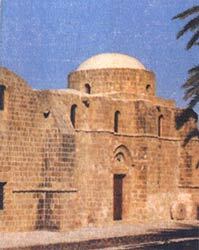 Founded by Archbishop Nikiforos whose tomb can be seen in the narthex of the church. The iconostasis dates to 1650 and there is a 1785 fresco of the Archangel Michael to whom the monastery is dedicated. 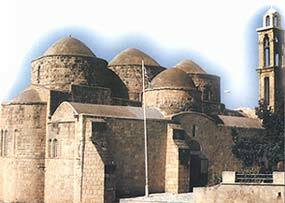 The church, dedicated to Saints Barnabas and Hilarion, was probably erected in the early 10th century, and is an outstanding example of Byzantine architecture with five domes. Next to the church stands the Turkish mosque of Peristerona, witness to the long and peaceful co-existence between the Greek Cypriots and Turkish Cypriots of the village, and the whole of Cyprus, at a time when Turkey had not yet adopted its partitionist and expansionist policy.